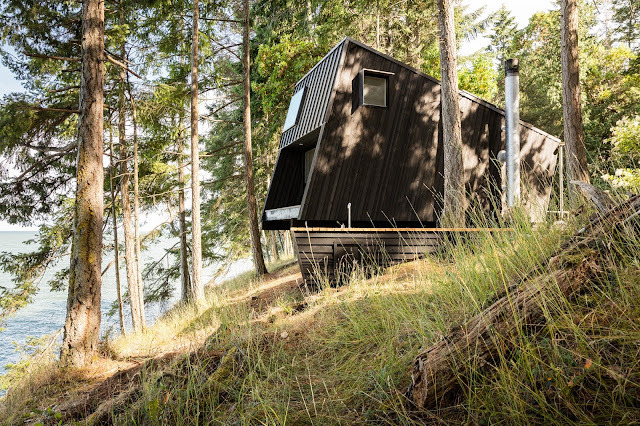 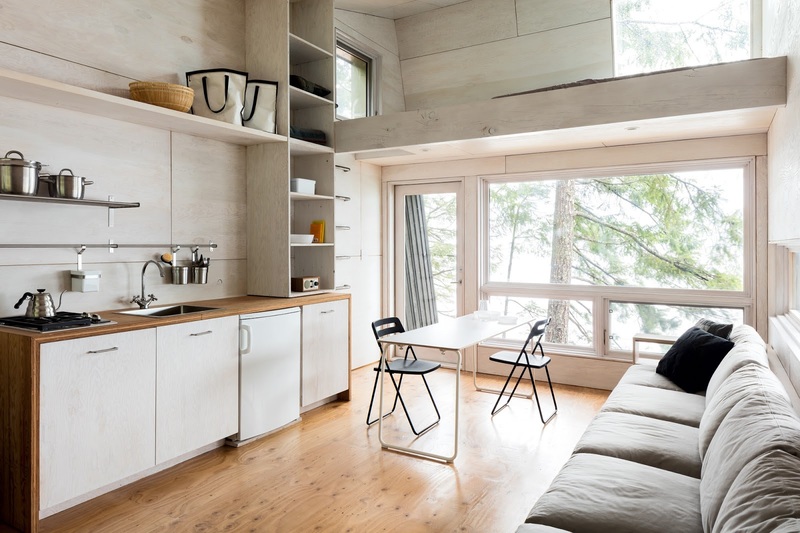 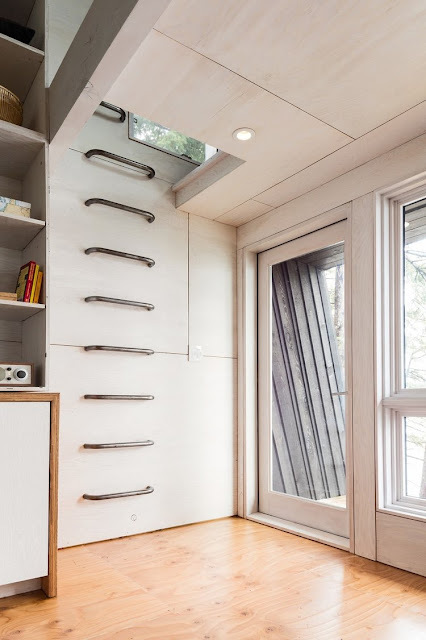 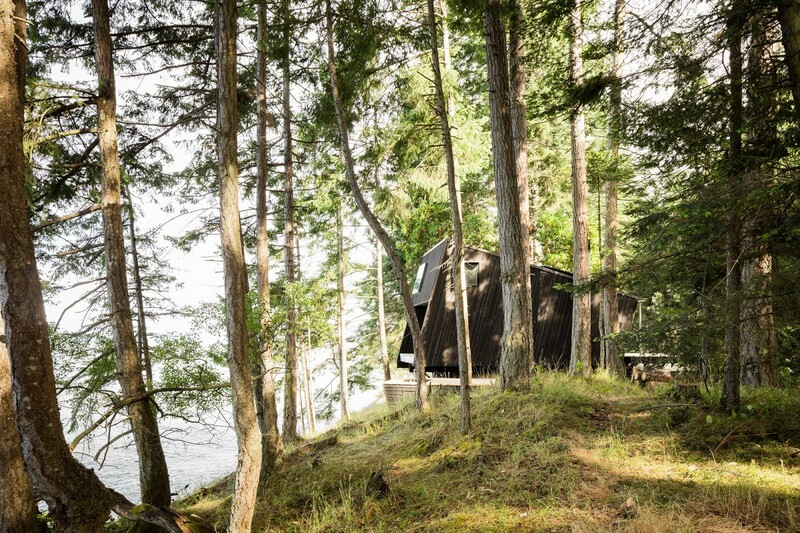 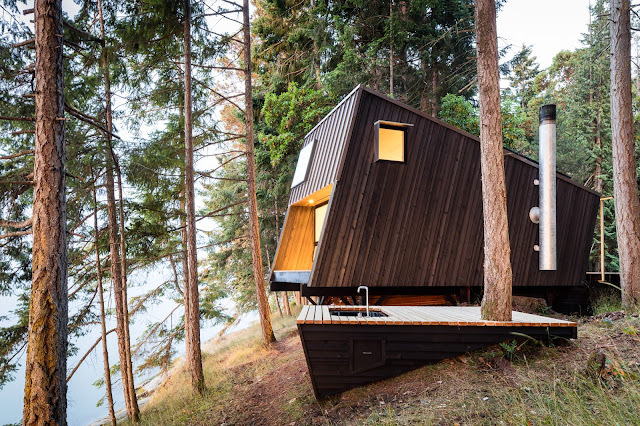 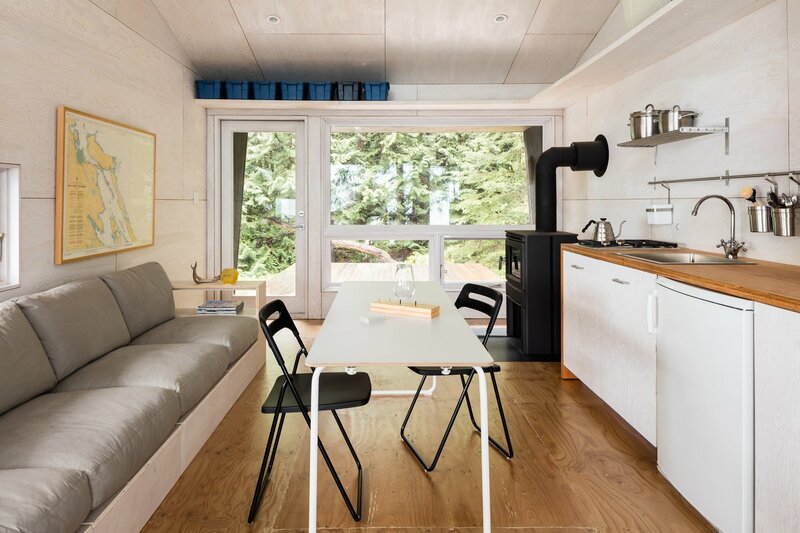 Overlooking the Salish sea and nestled in the woods is this gorgeous 386-sq-ft off-grid cabin. Its minimalist design features a dark-stained exterior with a contrasting white stained plywood interior. 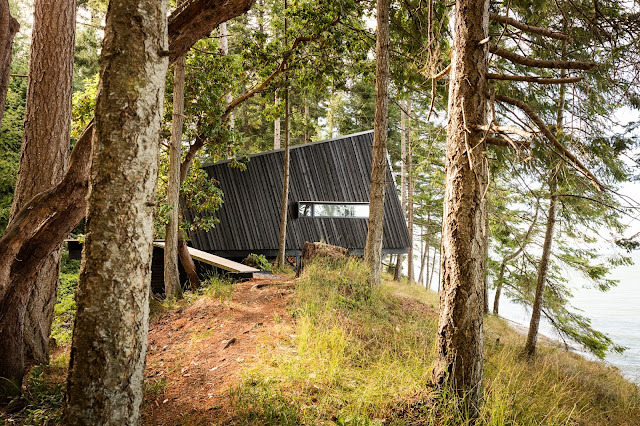 Solar power and a rainwater filtration system keeps the cabin self-sufficient. 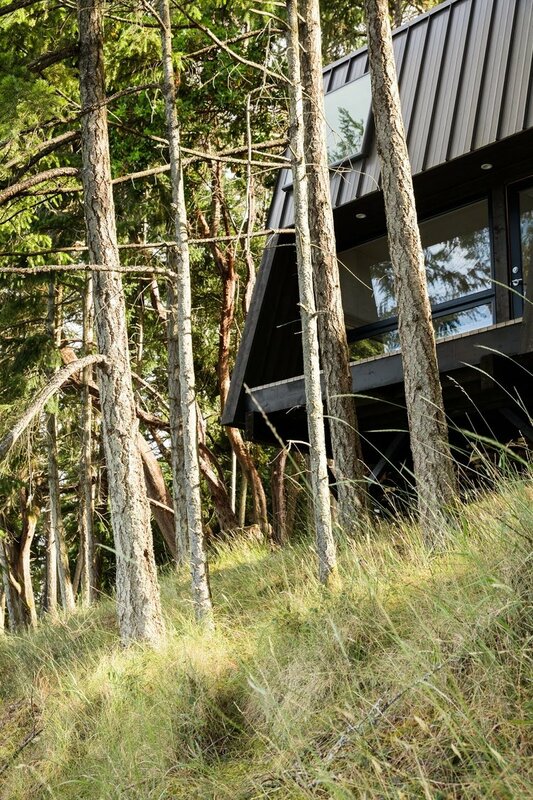 The construction of the home featured a 20% prebuilt that was assembled by prefab company AJIA on-site. 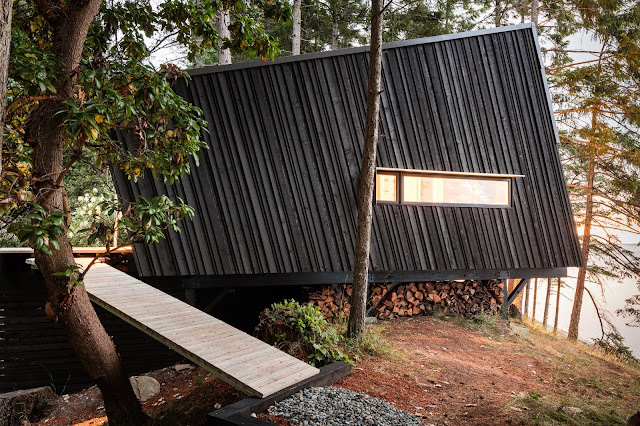 From there, the rest of the home took about 5-week to complete.